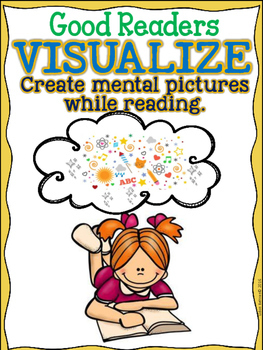 – A visualization worksheet can be used to have students draw what they pictured in their mind while or after Reading. It can also be cut out and glued in an interactive notebook or as a reader’s response activity. – A mini anchor chart describing the reading comprehension strategy of visualizing.